Oakhurst Neighborhood Association, Fort Worth, Texas: How did Oakhurst get its name? 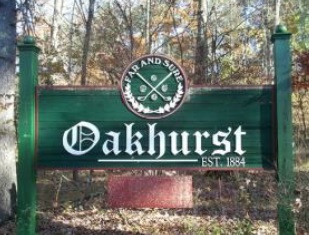 How did Oakhurst get its name? We may never know for sure, but from what we DO know about the development of the neighborhood, we can come up with a reasonable answer. The fun comes in learning about other places and people also named Oakhurst. The first thing to know is that the word “hurst” (from Old English) means “wooded hill.” "Oakhurst” means a wooded hill with oak trees. The Saxon word “hurst” is often used in southern England as part of other place names such as “Amhurst” (or “Amherst”) or “Ravenhurst.” The use of “hurst” in a place name may go back to ancient times although the use of it in a street name is modern. 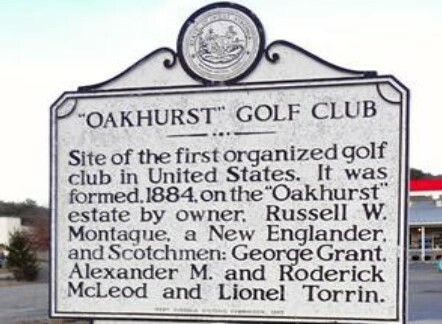 The most famous place named “Oakhurst” in the United States is the nation’s oldest existing golf course (nine holes) built in 1884 in White Sulphur Springs, West Virginia. The course was patterned after the original golf course in Scotland and no modern golf clubs may be used on the course. It is set in rolling hills where sheep graze and they are as likely as not to roam across your path while you are playing the game. Most who play at the historic Oakhurst wear knickers and sweaters to fully capture the feel of the original game. Recently, plans have been announced to maintain the historic “Oakhurst Links” but also to develop a brand new Oakhurst course designed by golf greats Arnold Palmer, Jack Nicklaus, Lee Trevino and Gary Player. It’s the first time all four of the golf legends have designed a course together. 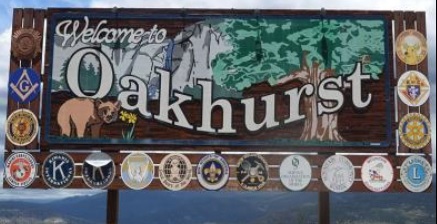 There are at least 8 states with one city named Oakhurst including one in Texas. California has two such cities. Probably the most well-known of these is Oakhurst, California, established in the 1850’s to supply gold miners. Formerly known as “Fresno Flats,” Oakhurst, California is in grizzly bear country in the Sierra Nevada Mountains,. In fact, the town is “famous” for its permanent “talking bear” on the town square. The town is 14 miles from the south entrance to Yosemite National Park. In Australia, there is an Oakhurst in Queensland and one in New South Wales, a suburb of Sydney. In Britain, there is a town called “Oakhurst” in Kent. Oakhurst is also the name of a streetcar suburb in Atlanta established by the Georgia Legislature in 1910. It was annexed into the City of Atlanta in 1914-1916 and more residential development followed, including in 1924, the same year as our own Oakhurst. It’s a historic neighborhood which remains quite active. 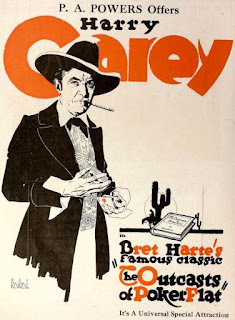 In 1869, American writer Bret Harte wrote his short story, “The Outcasts of Poker Flat”. His protagonist was a gambler named John Oakhurst. He was a calm soul throughout the story, even after he and others had been cast out of a California town into the nearby mountains. One of their group took their horses leaving them stranded and likely to die in the cold and snow. In 1919, the story was made into a film directed by John Ford. Harry Carey played the role of Oakhurst. The film has been lost, but the characters remain in memory although it is unlikely that Fort Worth’s Oakhurst Neighborhood was named for John Oakhurst. There is also no connection between the Texas city of Hurst in northeast Tarrant County and Oakhurst. Hurst was named for William Letchworth Hurst after he agreed in 1903 to let the Rock Island Railroad lay track on his land to connect Fort Worth and Dallas; he asked that a depot be built and given his name. 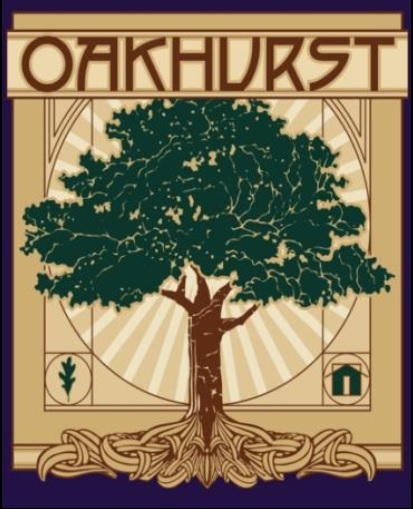 So why IS our neighborhood named Oakhurst? It’s probably because of some very simple things: it was not unusual to name an area wooded with oak trees “Oakhurst.” It had certainly been done before by those in Georgia and California and those places might have even been familiar to Oakhurst developer John P. King. Or perhaps he had heard about the Oakhurst Links and Country Club in West Virginia. That course had been around for at least 40 years by the time King developed his own Oakhurst Country Club during the 1930s. Maybe King knew about the various towns and cities in England named “Ravenhurst” or “Oakhurst.” Perhaps King thought “Oakhurst” sounded good as the name of a new residential addition. We know that King named his subsequent addition on the West Side of Fort Worth “Monticello” in 1928. Obviously, he knew that was the name of Thomas Jefferson’s Virginia home. He must have liked the idea of drawing connections between a famous president, his well-known home, and a new residential development. 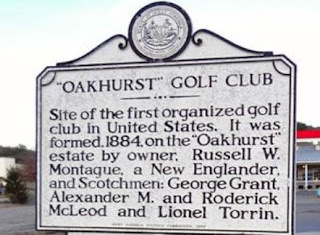 It’s not inconceivable that King did the same thing with the name “Oakhurst.” He may have seen it as a prestigious sounding name that would attract lookers and buyers in the new neighborhood. It didn’t hurt that the name just happened to be appropriate for the trees and topography of our part of Fort Worth.